Achieving your desired weight loss goals can be hard, even after you make necessary changes to your daily diet and begin a regular exercise regimen. 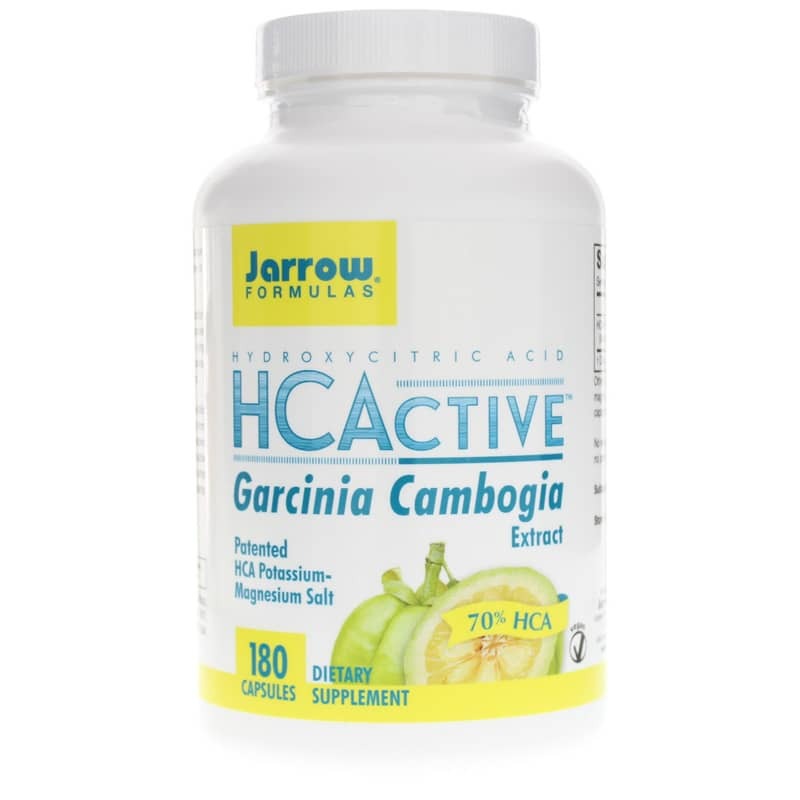 Jarrow Formulas offers a product called HCActive™ Garcinia Cambogia, daily dietary supplement that helps support weight management and may also help control cravings and appetite as well. Every batch of HCActive™ Garcinia Cambogia is manufactured to be completely free of wheat, gluten, soy, dairy, egg, fish and shellfish, and peanuts and tree nuts. It comes in an easy-to-swallow capsule form, and suggested use is to take three capsules twice every day. Be sure to take them 30 to 60 minutes before breakfast or lunch, and again 30-60 minutes before dinner. Let Jarrow Formulas help you on your journey to a healthier weight. Give HCActive™ Garcinia Cambogia a try today, and see the difference it may be able to make for you. Order now! Other Ingredients: non-hydrogenated palm oil, silicon dioxide, magnesium stearate (vegetable source) and cellulose. 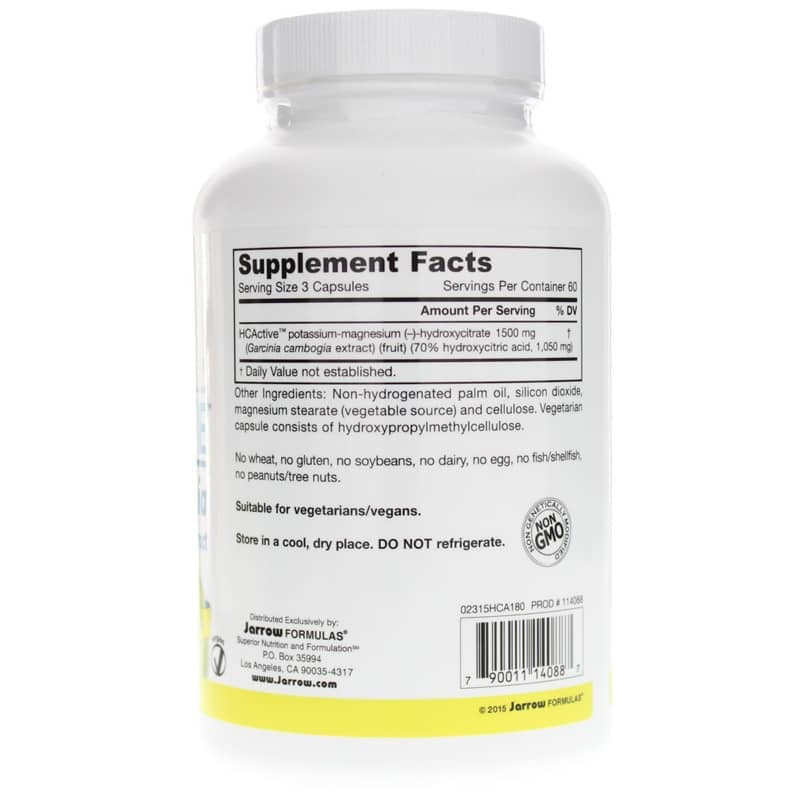 Vegetarian capsule consists of hydroxypropylmethylcellulose. Contains NO: wheat, no gluten, no soybeans, no dairy, no egg, no fish/shellfish, no peanuts/tree nuts. Non-GMO. Suitable for vegetarians/vegans. 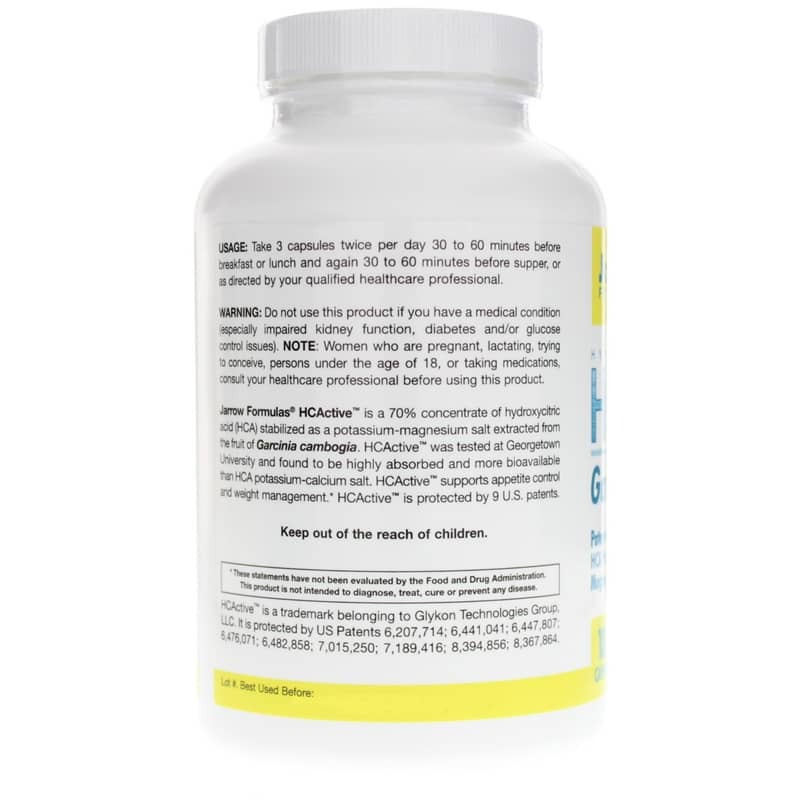 Do not use this product if you have a medical condition (especially impaired kidney function, diabetes and/or glucose control issues). NOTE: Women who are pregnant, lactating, trying to conceive, persons under the age of 18, or taking medications, consult your healthcare professional before using this product. Keep out of the reach of children.